The latest generations of drum reeling cables. 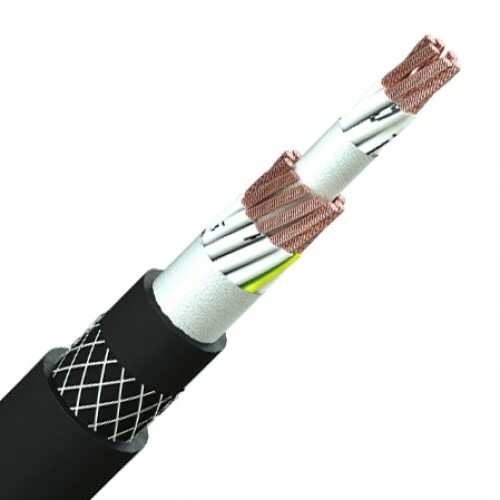 Compared to the standard rubber NSHTöu, these cables are smaller in overall diameter and much lighter in weight and also offers considerable cost savings. Can be used inside or in the open air, these cables emit very little smoke and free from halogen substance, making them suitable for sensitive applications in the event of fire. Fine copper strands to IEC 60228 insulated with halogen free polyester, cores laid around a central textile suspension unit using a short length of twist. 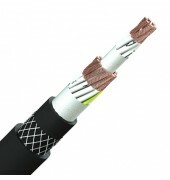 Anti-torsion braid embedded between the inner and outer halogen free black polyurethane sheath. Some large sizes may have a split earth construction. Please check at time of order if this is critical.